Zostavax is a shingles vaccine that contains a weakened version of the varicella zoster virus. The manufacturer of the vaccine acknowledges that it only reduces the risk of shingles by 51%. In rare cases, the Zostavax vaccine may cause patients to develop the very disease it was intended to prevent. The nationwide law firm of Bernstein Liebhard LLP is now investigating legal claims involving serious Zostavax side effects. 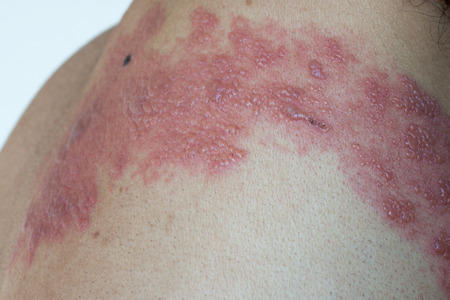 If you or a loved one developed shingles or any other complications following administration of this vaccine, please call (888) 994-5118 to learn more about filing a Zostavax lawsuit. Zostavax is a more potent version of Merck & Co.’s chickenpox vaccine, Varivax. It the only shingles vaccine cleared for sale in the U.S., and is currently indicated to prevent shingles in patients aged 50 and over. Zostavax contains a weakened version of varicella zoster, the virus that causes chickenpox and shingles. Most people are first exposed to varicella zoster when they get chickenpox. The virus can then remain in the body in a dormant state for years. Shingles will occur later in life if varicella zoster becomes active again. According to Merck & Co., Zostavax reduces the risk of shingles by about 51%. However, UCLA researchers have suggested that just 1 in 175 Zostavax recipients is able to avoid a shingles flare up. In August 2014, the labeling for the vaccine was changed to indicate that, in rare instances, Zostavax may even cause shingles. Some also claim that exposure to Zostavax has the potential to cause chicken pox. These infections are extremely dangerous in older patients or those with weakened immune systems. In January 2016, a study presented at the American Academy of Ophthalmology linked the chicken pox and shingles vaccines to keratitis, an inflammation of the eye’s cornea. In February of that year, the Zostavax label was modified to note reports of “Eye Disorders: necrotizing retinitis (patients on immunosuppressive therapy)”. According to the National Vaccine Information Center, shingles-containing vaccines were cited in 1, 141 reports made to the Vaccine Adverse Events Reporting System between 1990 and September 1, 2015. Ninety of those reports involved fatalities. In February 2017, a Nevada woman who developed a serious eye injury and other complications following administration of Zostavax took Merck to court, claiming that the drug maker had failed to provide patients with adequate warnings regarding the risks associated with the shingles vaccine. Her case, which is now pending Pennsylvania’s Philadelphia Court of Common Pleas, was thought to be the first Zostavax lawsuit filing in the U.S.
Zostavax patients who suffered serious complications allegedly linked to the shingles vaccine may be entitled to compensation for their injury-related damages, including medical bills, lost wages, and pain and suffering. To discuss filing a Zostavax lawsuit with a member of our legal team, please call (888) 994-5118.